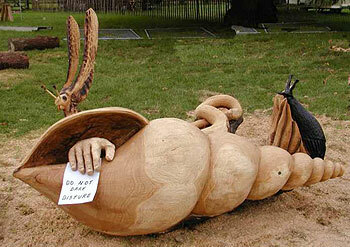 Carved at Sculptree 2001, Westonbirt Arboretum, Gloucester. All from one piece of oak, utilising branch forks. Has three sitting areas incorporated in the design. The hand was an optional extra.